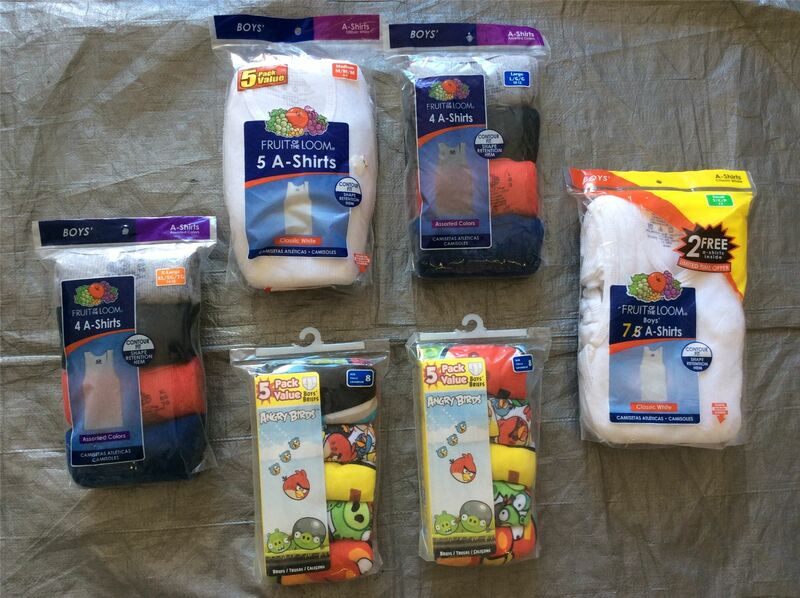 You are purchasing a wholesale lot of assorted boy/teen packaged under shirts and underwear. The lot contains 25 packages. 20 packs of packaged shirts and 5 packages of boxer/underwear. The items in this lot are a mixture of differnt brands. sizez, ext. Click the button below to add the Wholesale Lot of Assorted Boy,Teen Packaged Under Shirts, Under Wear, Lot of 25 to your wish list.